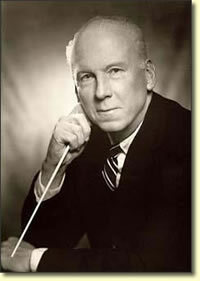 Make a visual impact at your performances with excerpts from Leroy Anderson video. 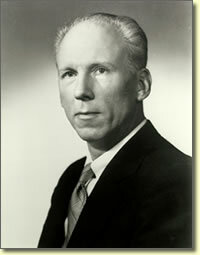 Numerous pre-edited excerpts on the music and life of Leroy Anderson are available in a variety of lengths on a DVD that can easily be shown in concert. Belle of the Ball, Blue Tango, Bugler's Holiday, Fiddle-Faddle, Sleigh Ride, The Syncopated Clock, A Trumpeter's Lullaby, The Typewriter and The Waltzing Cat. The technical requirements for showing this material are easily met through the use of a DVD player with a video projector. Cue sheets have been prepared to make for easy review, selection, and presentation of the material by conductors. Audiences seem to derive special pleasure in seeing and hearing the composer speaks about each piece just before the orchestra plays. One member of the audience where the video was use said "It was powerful". Excerpts from review of Newtown concert. 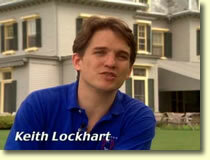 "Each of the tunes was introduced using the PBS video documentary "Once Upon a Sleigh Ride." The transitions from video to live performances were as natural as the music. 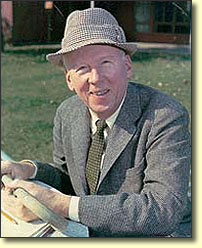 The video featured numerous pops celebrities such as Skitch Henderson, Arthur Fiedler and John Williams giving their anecdotes and accolades to Leroy Anderson. The wistful "Forgotten Dreams" began on video with Leroy playing piano with his right hand while conducting with his left, and ended with the DSO and Debbie Morris in a lovely flute solo." Please contact Kurt at info@woodburymusic.com for more information on this video.